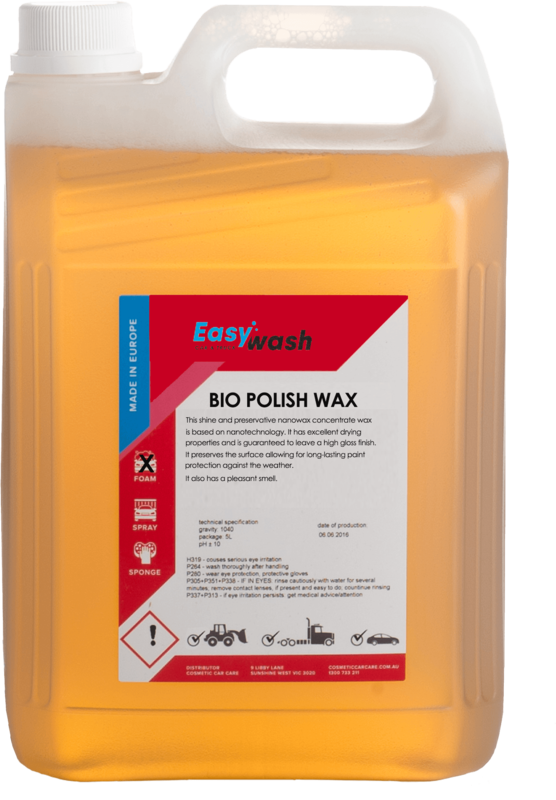 This shine and preservative nanowax concentrate wax is based on nanotechnology. It has excellent drying properties and is guaranteed to leave a high gloss finish. It preserves the surface allowing for long-lasting paint protection against the weather. It also has a pleasant smell.